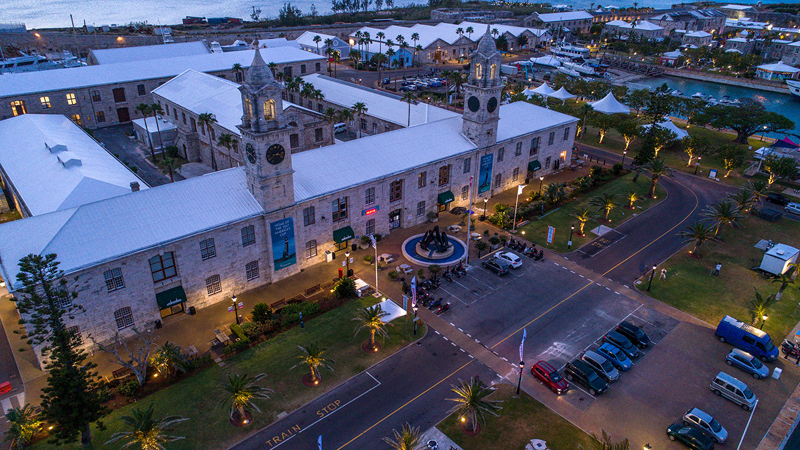 Royal Naval Dockyard has won a prestigious award for the second year running – beating cruise ship destinations from around the Caribbean. 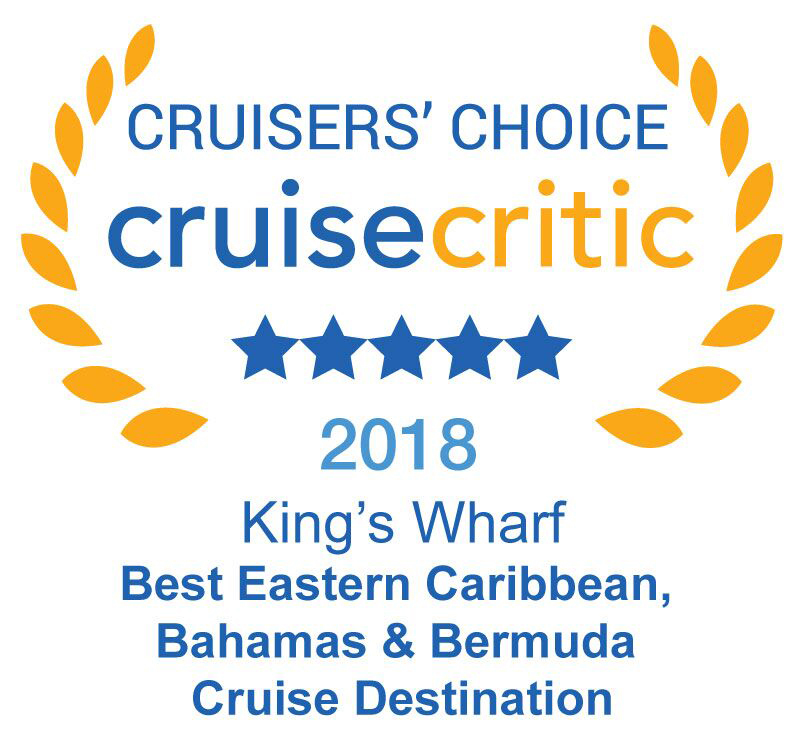 It has been named as the Top Cruise Destination in the Eastern Caribbean, Bahamas & Bermuda in Cruise Critic’s Cruisers’ Choice Destination Awards. The awards are based exclusively on consumer ratings and reviews posted to the Cruise Critic website over the last year – so specifically first-hand feedback from cruisers themselves. Andrew Dias, General Manager of the West End Development Corporation, said: “This is a tremendous honour because it is the people who come to Dockyard on cruise ships who have voted for us and that means a lot. “It says that what we have done at Dockyard, and continue to do, in terms of improving the facilities and adding more activities is paying off. It also shows us that we are keeping ahead of some very stiff competition. He said Dockyard continued to innovate adding new attractions such as Destination Dockyard, a new interactive weekly event which started last night [Monday], and the new trampoline park, based in the refurbished Sail Loft. “WEDCO has invested millions of dollars into Dockyard and we will continue to invest to ensure we are able to serve the needs not only of our visitors, but also the locals who come to visit us. “However, I must say that we can invest as much as we like, but without the help of our superb WEDCO staff, our incredible Dockyard tenants, Marine and Ports who operate the ferry service and help the cruise ships berth, PTB, seaport security, the taxi and minibus services and all the tour operators along with our vendors, none of this would be possible. Director of Marine and Ports, Rudolph Cann said his department helps all vessels calling at Dockyard with pilotage, the tug service, line boats, ferry service as well as the regulatory oversight of seaport security. Pat Phillip-Fairn, Chief Product and Experiences Development Officer with the Bermuda Tourism Authority said: “Bermudian hospitality is legendary and that’s because across the Island we focus on providing a high quality, memorable experience for our visitors. One of the pop-up vendors at Dockyard is Rickeisha Burgess, who runs Duch Pops Bermuda which makes gourmet popsicles. She is now in her third year at Dockyard and said: “I love it here. Dockyard keeps changing for the better with more things to do. More proof that de west is de best. SOMERSET! Its okay when we beating someone. I’m at Horseshoe Bay as often as I can. Those guys working with the BTA, which works with mini bus organization. Do a great job of ferrying cruise passengers back and forth. The person’s running the concession at Horseshoe Bay equally deserve credit for a great experience. Very organized and capable of service to the masses! One thing. Why is there no blue bins at the beach? Agreed, however…the tourists waiting for the ferry/shuttle could use a little shade. Can we not create something for them?